"These are delicious and cake-like. 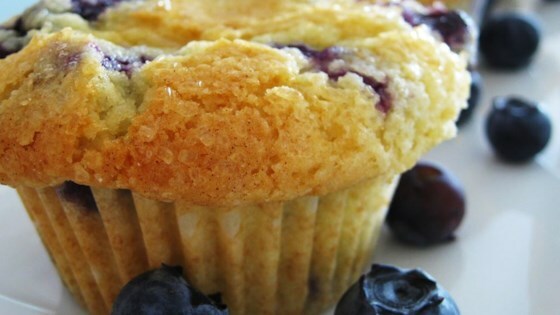 I always double the recipe and make huge Texas-style muffins." Fill muffin cups 2/3 full. Bake at 350 degrees F (175 degrees C) for 25 to 30 minutes.